Tool benches come in a variety of sizes and styles, but they usually have a large surface that you can use to work on projects and set up equipment. The most convenient feature of a tool bench is that it has built-in storage compartments like cabinets, drawers, and shelves where tools and other important instruments or parts can be organized and securely locked up. Some tool benches are built with a full cabinet hutch that stands upright on the bench and allows for the most storage capacity. For industrial purposes, tool benches are usually constructed using stainless steel because of its durability and anti-corrosive properties. Stainless steel is also very easy to clean. Smaller tool benches for use in a garage can also be purchased in stainless steel, but cheaper models are also manufactured using heavy duty plastic materials that are still durable but make the product much lighter. 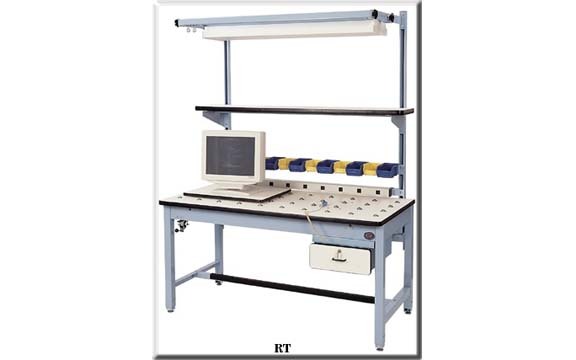 Tool benches are very popular among automotive enthusiasts and auto shops because they make a great workstation when tinkering with smaller parts, and they have lots of compartments for storing parts and tools for maintenance. A tool bench can be very basic with nothing more than a few drawers, but a lot of features can be added to produce a product that is convenient and highly functional. 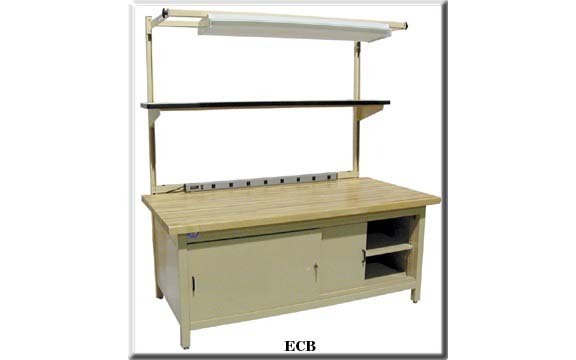 Some tool benches have overhead lighting integrated into their design, and come fully equipped with a number of electrical outlets so that power tools and other devices can easily be plugged in. Another popular feature is caster wheels that are welded to the bottom of each leg of the bench to allow for easy movement across a floor. The mobility of a tool bench on wheels can be particularly useful in equipment repair settings where a mechanic needs to have a wide variety of tools within reach while he is working. Because tool benches can be built in so many different styles and sizes, they are just as common in commercial workshops as they are in personal garages. Tool Bench Whether you are a handyman with a hobby that you work on in your home garage or you run a large commercial facility like an auto or equipment repair shop, a tool bench can be a useful purchase.